There are many factors that contribute to wait times, including: growing demand for care and inadequate supply of services. Increased demand can occur due to factors like: changing demographics (e.g., growing seniors’ population or a growing community of young families), or the availability of new technologies. Once wait times are reduced, more patients might be referred to a treatment now that it is more readily available. For some services, while wait times have not improved, the number of patients treated has increased. Supply issues that can contribute to wait times include: a lack of doctors, nurses and technicians; a lack of operating room time; a lack of non-medical services to support patients following surgical care (e.g., support for the patient to be cared for in their home); and a lack of alternative services that would be more appropriate for the patient (e.g., housing and social supports or providing care closer to patients to prevent inappropriate emergency department visits). 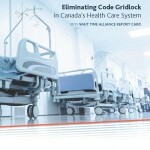 Efforts have been made by provinces to standardize how waits are calculated in Canada but there remain some differences in how the wait is calculated (e.g., when the physician submits the request for surgery vs. when the hospital identifies a booking date for the surgery can be different). Most of the wait times measured in Canada and elsewhere have focused on the wait for surgery; that is, the wait from when a patient and their physician decide treatment is necessary to the start of treatment. However, there can also be waits to see a family physician, waits for diagnostic testing, as well as a wait for a specialist consultation once referred. Adding up all of these points of waiting can lead to a long wait for the patient and that is why wait-time strategies are required across the patient’s journey. Can more funding improve health care wait times? While some funding is necessary to address existing backlog in the system, the real issue is not funding itself. Rather, wait times will be improved when we have a better understanding what existing funds buy the health care system. Often times waste in the system is the result of it running sub-optimally; adopting operations research such as queuing theory could improve processes. In order to improve the health of the population, improve the patient’s health care experience and to increase the value for money spent on our health care system, we believe that the system needs to be transformed. Patients, physicians and all health care providers need to work together in the decision-making process. This would lead to better health public policy decisions. What are Patient Wait Time Guarantees? In the spring of 2007, the Federal Government offered provinces and territories additional funding to address wait times (up to $612 million). This funding was contingent on the jurisdictions publicly committing to establishing a Patient Wait Times Guarantee for at least one treatment, procedure, or diagnosis identified as part of the 2004 Health Accord (cancer care, cardiac care, joint replacement, diagnostic imaging and sight restoration). These guarantees consisted of two components: a defined time frame and access to alternate options of care if waits exceeded the defined time frame. What does Alternate-Level-of-Care (ALC) mean? While there is no universal definition, alternate-level-of-care (often referred to as simply ALC) generally refers ALC is commonly used to refer to a patient who continues to occupy an acute care hospital bed after they are well enough to be cared for elsewhere depending on their situation. 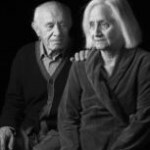 There are many reasons for the high rates of ALC patients, including a lack of community supports to both prevent ALC hospitalizations and to return patients to a more appropriate setting after they receive hospital care (i.e., in the home with proper supports, or in a residential facility). ALC patients have an impact on access to acute care beds, which are in short supply and are required for patients admitted through the emergency department or operating room. On average, one ALC patient in the emergency department denies access to four non-ALC patients per hour. Scheduled surgeries are also affected by high rates of alternate-levels-of-care stays—a lack of available beds for postoperative patients may result in many last-minute cancellations of scheduled surgeries, adding to even longer wait times for patients. There remains no pan-Canadian definition that is consistently used which makes it difficult to compare rates across the country. What is a medically acceptable wait time benchmark? Benchmarks are the maximum amounts of time that a patient should wait for specific treatments, tests, or procedures; beyond that, evidence shows that waiting will likely have adverse effects on a patient’s health. You can think of benchmarks as performance goals for Canada’s health care system—if our system is running well, Canadians should be treated within the time indicated. How are medically acceptable wait time benchmarks created? Wait Time Alliance benchmarks are created by medical specialty societies using the best available evidence and clinical consensus. In many cases they refer to a maximum acceptable wait time for a procedure, treatment, or diagnosis. As such, they should not be viewed as standards or ideal wait times. Also, the benchmarks are subject to change as new evidence comes forward and as technology and population health needs change. Do Wait Time Alliance and Provincial/Territorial Governments agree on benchmarks? In some areas, provincial and territorial benchmarks are less demanding than the Wait Time Alliance’s benchmarks. For example, governments say that a cancer patient who needs radiation therapy should be treated within 28 days, while the Wait Time Alliance thinks these patients need this care within 14 days. The Wait Time Alliance bases its benchmarks on the broad consensus of physicians on medically reasonable wait times for health services delivered to patients. Why are not all treatments/procedures included in report cards? A treatment that has the highest volume and or greatest return on investment. A treatment whose wait time could be significantly reduced with a simple and direct capacity increase of some piece of technology or personnel. All benchmarks developed by the Wait Time Alliance can be viewed here. How do you determine the grades assigned in each report card? To get involved with the Wait Time Alliance, contact your National Specialty Society. How does reporting wait times affect me/my practice? You can’t manage what you can’t measure. Collecting and sharing information on how long and which patients are waiting for the care they need is an important first step in identifying wait time strategies. The Wait Time Alliance is assisting provincial governments in obtaining these data. As we get a better picture, we can begin to focus on the broader patient journey through the health care system, and the many waits they face along it.